Asus appears set to release yet another budget-minded tablet following the success of the Google Nexus 7. This time around, however, the slate will be powered by an Intel processor instead of the Tegra 3 chip found in the Nexus 7. A front-facing 1.2-megapixel camera will facilitate video calls. The slate will come pre-installed with Android 4.1 Jelly Bean with a 4,270mAh battery on tap. There’s also the usual array of sensors packed into the 340 gram frame that measures 196.6 x 120.1 x 10.4mm. No word yet on a release date or pricing and of course, we aren’t hearing anything official from Asus just yet. With any luck, we could hear something about it during Mobile World Congress later this month. 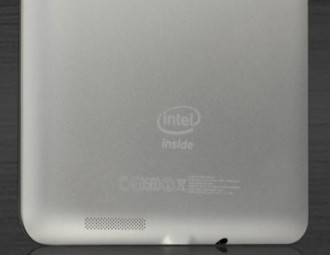 One would suspect the price would come in below the Nexus 7 considering the slower single-core processor.